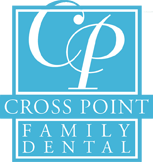 When it comes time to visit a periodontist, Lowell, MA residents trust Crosspoint Family Dental as the experts in the area. Periodontal disease is disease related to the gums, and these types of problems should be treated by a licensed periodontist. Lowell, MA dentists, Dr. Peysakhov and Dr. Turkenich from Crosspoint Family Dental have 60 years of combined experience in practicing the art of dentistry. When you need a periodontist in Lowell, MA, we will diagnose and work with you to develop a treatment using the best practices and procedures offered in the field. If you have been diagnosed with gum disease, you are not alone. According to the American Academy of Periodontology, half of all Americans aged 30 or older suffer from some form of periodontal disease. In other words, about 64.7 million Americans are experiencing these types of problems. The specialists at Crosspoint Family Dental are experts in preventative treatment methods for the epidemic of periodontal disease. Our team is well versed in the supporting structures of the teeth. We know how to cure stages of periodontal disease from gum inflammation to bone decay. Our main goal is to control the infected area, making your bones, gums, and teeth strong again. When you need a periodontist, Lowell, MA residents can turn to Crosspoint Family Dental for expert treatment. Located on 850 Chelmsford Street in Lowell, MA, our friendly office is a stress-free environment for you to work out your treatment options. We understand the anxiety that comes from visiting a dentist or periodontist, and this is why we have created an atmosphere conducive to open communication and relaxation. If you have already been diagnosed, or fear you are at risk of periodontal disease, contact our Lowell, MA specialists today. From preventative measures, to early and late stages of gum disease, a periodontist in Lowell, MA that can help you can be found at Crosspoint Family Dental. Call our office today at (978) 459-6467 to make an appointment. Do not put off your visit any longer! For a trustworthy periodontist, Lowell, MA can make the smartest possible choice and turn to Crosspoint Family Dental for any work they need done.